Last Chance For Lifetime Option! 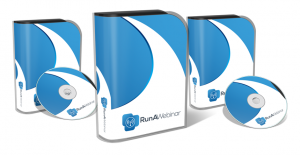 RunAWebinar is one program you need to have in your toolbox if you plan on EVER doing a Webinar for your business. Buying this with the lifetime option is cheaper than paying one month of GoToWebinar. But as the sales video says, the lifetime option goes away at midnight Tuesday morning on March 22. Don’t miss out on this amazing software! Get RunAWebinar before the lifetime option is gone! Previous PostRun Your Own Webinars Without High Monthly Fees!Next PostWatch Out For This New Webinar Platform!